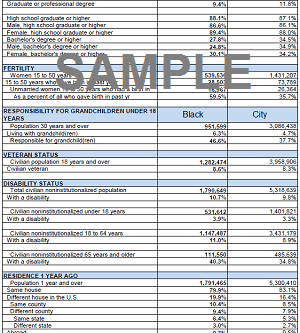 Los Angeles has dropped from the 5th to the 6th largest Black population in the United States. 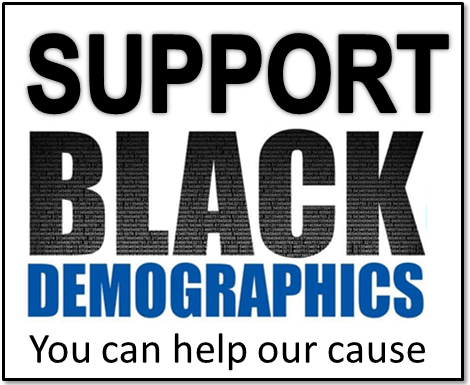 African Americans migrated to California mainly during the two great Black migrations from the South. Although the migration moved most northward, thousands of Blacks from the central southern states like Louisiana, East Texas, and Arkansas moved west to the Golden State for better lives and opportunities. 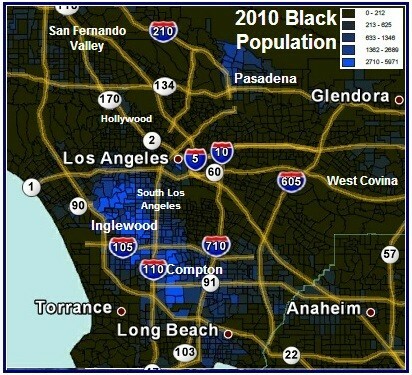 The majority of African Americans in this metropolitan area live south of downtown in adjacent neighborhoods and cities including Baldwin Hills, South Los Angeles (formerly South Central), Watts as well as the cities of Compton, Carson, Inglewood and Long Beach. The current migration pattern from Los Angeles has followed the same pattern as the urban areas of the Northeast and Midwest. Many who are able and/or educated have left California to head to the South seeking better opportunities and a higher standard of living. Others relocated to nearby states such as Arizona, Nevada, or even north to Washington state in effort to stay in the same region.